Artichoke, more correctly known as globe artichoke, is a thistle-like plant grown for the edible blossom bud. It is one of only a few vegetable plants grown in North America as a perennial, with new growth arising from the roots annually. Like some other perennials, it can be grown with some success as an annual crop by planting roots, but this is not a common practice. Although artichoke can be grown over a broad geographic area, it is not cold-hardy. Commercial production is limited to the California coast, where the cool, moist climate favors its growth. It is not a popular vegetable and is considered by many to be a "luxury" vegetable. The origin of artichoke appears to be the western Mediterranean region of Europe. A similar plant grown for the leaf stalks is cardoon; this plant is not grown commercially in North America. The key pest of artichoke is artichoke plume moth, Platyptilia carduidactyla (Riley), though such aphids as artichoke aphid, Capitophorus elaeagni (del Guercio), and bean aphid, Aphis fabae Scopoli, can be quite damaging at times. The asparagus is a hardy perennial plant and if once established remains productive for many years. It is grown in all except the warmest regions of North America and is winter-hardy in most climates. It is usually grown from crowns (roots), but seeds may be used. Seeds are spread freely by birds, and it is common to find asparagus growing wild along roadsides, fences, and irrigation ditches. California, Washington, and Michigan are leaders in asparagus production, though commercial production is also important in eastern Canada. Asparagus is popular in home gardens in northern areas, probably because it is one of the first crops available for harvest in the spring. It has been an important vegetable since ancient times, and it originated in the Mediterranean region. The spears or stems as they first push up from the soil are harvested; once they begin to branch they become tough and inedible. The most serious pest is asparagus aphid, Brachycorynella asparagi (Mordvilko), though its economic impact is mostly a western phenomenon. In eastern North America asparagus beetle, Crioceris asparagi (Linnaeus), and spotted asparagus beetle, C. duodecimpunctata (Linnaeus), can be nuisances. Acyrthosiphon pisum Shinji. Cowpea is plagued by cow-pea weevils, Callosobruchus spp. Locally, a number of other pests can be important, particularly thrips, leaf miners, leafhoppers, and flea beetles. The beet apparently originated in the Mediterranean region, spinach in Iran. Beet and its relatives are biennial crops, requiring more than one year but less than two to complete their natural life cycle. They are grown as annuals when cultivated as vegetables. Although beet originally was grown entirely for its foliage, cultivars of beets with edible below-ground portions (the edible "root" is mostly thickened stem material) became popular in Europe beginning about 1800. Beet, once popular in North America, has declined greatly in popularity. Chard has never been an important crop and remains relatively obscure. Spinach is not very popular, but commercial production is stable. Most commercial cultivation of beets in the United States occurs in the Great Lakes area, but spinach production is more western in distribution, from Arkansas and Texas to California. In Canada, these crops are grown primarily in Ontario, Quebec, and British Columbia. In home gardens, these crops thrive nearly everywhere. The principal pests are green peach aphid, Myzus persicae (Sulzer), and beet and spinach leafminer, Pegomya spp. In the west, beet leaf-hopper, Circulifer tenellus (Baker), can be very damaging. The cruciferous vegetables, often called "cole" crops, are grown for their leaves. These are cool-season crops; they tolerate light freezes and even brief heavy freezes, but prolonged deep freezes are fatal. Though naturally biennials, they are grown as annuals. Cabbage and its many forms originated along the shores of Europe; mustard and radish are from Asia. Some are popular foods in North America; others are of regional significance. Perhaps the most interesting vegetable in this group is broccoli, which has become popular only since the 1950s. Cauliflower is a moderately important crop. Cabbage and turnip, once popular in the United States, have declined in importance though cabbage remains a significant crop. Rutabaga is an important dietary element in Canada, but not in the United States. Collards and, to a lesser degree, kale, are popular vegetables in the southeastern states. In the United States, commercial production of broc coli, cauliflower, and Brussels sprouts is concentrated in California. California and Florida are the primary producers of radish. Cabbage is produced widely. In Canada, Ontario and Quebec are the important producers of these crops. In home gardens, these crops are produced throughout North America. The principal pests of cabbage and its closest relatives include the root maggots, Delia spp. ; cabbage aphid, Brevicoryne brassicae (Linnaeus); diamondback moth, Plutella xylostella (Linnaeus); cabbage looper, Trichoplusia ni (Hubner); and imported cabbageworm, Pieris rapae (Linnaeus). Mustard and radish tend to be plagued more by green peach aphid, Myzus persicae (Sulzer). The umbelliferous vegetables are biennial, but are grown as annuals. They require cool weather to develop properly. Most survive in heavy frost but are killed by prolonged freezing weather. The major crops of this group, carrot and celery, originated in the Mediterranean region. Carrot and parsnip are grown for their root; celery, celeriac, and fennel for the swollen stem bases; and parsley and coriander for their foliage. These crops are grown widely in the United States, in both northern and southern locales, but California dominates commercial production. In Canada, commercial production occurs predominantly in Quebec and Ontario. Carrot and celery have long been popular vegetables. Parsnip once was an important crop because it could be stored well during the winter months and even be left in the soil during freezing weather. While Canadians and Europeans retain a fondness for this crop, Americans rarely consume it. Parsley retains its utility in the American diet, but coriander is rapidly growing in popularity as Mexican and oriental recipes gain broader acceptance. Fennel is similarly growing in popularity, but as yet is a minor crop awaiting discovery by the American palate. Chervil is rarely grown in North America, and different types are grown for their root and foliage. In some areas, carrot weevil, Listronotus oregonen-sis (LeConte), and carrot rust fly, Psila rosae (Fabricius), are important pests, and leafhoppers sometimes transmit aster yellows disease. American serpentine leafmi-ner, Liriomyza trifolii (Burgess), is often the most serious threat to commercially grown celery. passes all other vegetables except for potato in area of land devoted to production and in crop value. Canada lacks the warm-weather production areas found in the United States so it is not as important a commercial crop there. It is popular among Canadian consumers and much lettuce is imported from the United States. California and Arizona dominate commercial production in the United States; Quebec is the major producer in Canada. Lettuce apparently originated in Europe or Asia and has been grown for over 2000 years. Lettuce is grown everywhere in North America for home consumption and despite the apparent concentration of lettuce production in a few states or provinces, specialty lettuces are grown around many large metropolitan areas for local consumption. Lettuce and most related crops are grown for their leaves, though in the case of celtuce the stem is eaten. Lettuce and related crops are cool-season annuals. Although killed by heavy frost, these crops are also susceptible to disruption by excessive heat. Hot weather causes lettuce to flower and become bitter tasting. Several insects are important pests of lettuce. Aster leafhopper, Macro-steles quadrilineatus Forbes, is an important vector of aster yellows in some production areas. Several species of aphids may be damaging, though green peach aphid, Myzus persicae (Sulzer), generally is most important. Numerous caterpillars such as corn ear-worm, Helicoverpa zea (Boddie), and cabbage looper, Trichoplusia ni (Hubner), threaten the lettuce crop. The okra is thought to be native to Africa and is an important crop in tropical countries. It is also an important element of southern cooking because it is one of the few vegetables that remain productive throughout the long summer of the southeast. It is an annual plant and is killed by light frost. Okra is grown for the seed pod, which, like snap bean, is harvested before it matures. It is unusually tall for a vegetable crop, often attaining a height of two meters. It is a relatively minor vegetable crop from a national perspective and so production statistics are infrequent. Commercial production in the United States occurs in the southeast from South Carolina to Texas. The pods are subject to attack by several pests, with the most damaging being red imported fire ant, Solenopsis invicta Buren; southern green stink bug, Nezara viridula (Linnaeus); and leaf-footed bugs, Leptoglossus spp. Onion and its relatives are biennial or perennial plants, but cultivated as annuals. These have long been important crops, with use of onion documented for nearly 5000 years. Their origin is thought to be Asia. Onion is grown principally for the below-ground leaf bases, which form a bulb, but tops are also edible. They are tolerant of cool weather, but also thrive under hot conditions. Onion is cultivated widely in North America, though commercial production of the sweet varieties tends to be concentrated in southern areas whereas the pungent varieties are cultivated at more northern latitudes. In the United States, leading producers are California, Washington, Texas, Colorado, New York, and Georgia. California also leads the nation in garlic production. Ontario and Quebec produce most of the onions grown in Canada. The key pests of onion are onion thrips, Thrips tabaci Lindeman, and onion maggot, Delia antiqua (Meigen). The rhubarb is one of the few perennial vegetable plants cultivated as a perennial. Its origin is northern Asia, and its use can be traced back about 5000 years. Rhubarb thrives where summers are cool. The stalks or leaf petioles are used as food, though this vegetable is infrequently consumed. Most commercial production occurs in northern states such as Michigan, Oregon, and Washington, but it remains principally a home garden crop. There are a few important pests of rhubarb, with rhubarb curculio, Lixus concavus (Say), perhaps the most serious. The cucurbit crops are important vegetables, though they vary in economic importance. They are annual plants and are warmth-loving crops. All are cultivated for their fruit. Light frost will kill cucurbits, and even cool weather will permanently disrupt growth. Squash and pumpkin originated in Central and South America; cucumber, melons, and watermelon are from Africa or perhaps Asia. The summer squashes and cucumbers are stable in production or increasing slightly in importance, though squash is considered to be a minor vegetable crop and statistics are scant. The winter squashes are of decreasing significance in diet and commerce. Pumpkin is grown mainly as an ornamental plant, though some is processed for food. All types of melons are increasing in popularity and economic significance. Cucumbers are produced in many states, but Georgia and Florida lead in fresh market production and Florida in cucumbers for pickles. Texas, Florida, and Georgia are the leading producers of watermelon, but commercial production is wide spread. Cantaloupe and other melon production is centered in California and Arizona. Cucurbit crops have some serious insect pests. Home garden plants are plagued by squash vine borer, Melittia cucurbitae (Harris); squash bug, Anasa tristis (De Geer); and in the southeastern states by pickleworm, Diaphania nitidalis (Stoll). Commercial crops are affected by whitefly and aphid plant virus vectors, Diabrotica spp. and Acalymma sp. cucumber beetles in the north central states, and pickle-worm in the southeast. Corn, commonly known as maize outside the United States, apparently was domesticated in Mexico and perhaps is descended from a similar grain, teo-sinte. Corn originally was cultured because it was productive, a good source of carbohydrates and other nutrients, and the grain stored well. Sweet corn is a recent innovation that was first developed in the mid-1700s, but lacks the storage characteristics of the older types, or grain corn. Corn is grown for the seeds, which are clustered in a structure called the "ear." Sweet corn is a popular vegetable, though canned corn is less popular than it once was due to the availability of frozen corn. The more recent availability of fresh corn that does not quickly lose its sweetness (supersweet cultivars) has increased demand for whole-ear corn. Sweet corn is cultured widely in North America. In the United States, Florida, California, New York, and Georgia lead in fresh sweet corn production, whereas Minnesota and Wisconsin lead in processed sweet corn. In Canada, the provinces producing most of the sweet corn are Ontario and Quebec. As might be expected from a crop that originated in North America, many pests feed on corn. Thus, native species such as corn earworm, Helicoverpa zea (Boddie); fall army-worm, Spodoptera frugiperda (J.E. Smith); and the Diabrotica rootworms are the most serious pests. However, some introduced insects also have become frequent pests, including European corn borer, Ostrinia nubilalis (Hubner); Japanese beetle, Popillia japonica Newman; and corn leaf aphid, Rhopalosiphum maidis (Fitch). Sweet potato is an immensely important crop in some parts of the world, but not in North America, where acreage and consumption are declining. Sweet potato probably originated in Mexico and is well adapted to tropical growing conditions. Some moist-fleshed varieties of sweet potato are called yams, but yams are a separate species normally found in Polynesia, and infrequently seen in North America. A peren nial crop, sweet potato is normally grown as an annual. It is cultivated for its tuber. Sweet potato cannot tolerate prolonged cool weather and perishes if exposed to light frost. Most of the domestically produced sweet potatoes are grown in North Carolina and Louisiana. Sweet-potato weevil, Cylas formicarius (Fabricius), is the most damaging pest of this crop, but anything that damages the tubers, including wireworms and flea beetle and cucumber beetle larvae, is economically threatening. The solanaceous crops are among the most popular vegetable crops in North America. Potato ranks as the most valuable vegetable crop grown in the United States, with tomato third and pepper fifth in value. In Canada, potato and tomato are considered first and second in importance, but warm-season crops such as pepper do not thrive in Canada. Among home gardeners, tomato is the most popular crop. Potato is grown for its tuber, the other crops for their fruit. The origins of the solanaceous crops are diverse; eggplant originated in India, potato and tomato in Peru, tomatillo and pepper in Mexico or Guatemala. Tomato, tomatillo, pepper, and eggplant are warm-season perennials that are cultivated as annuals. Potato is a cool-season perennial cultured as an annual. Potato in most of North America is at risk from Colorado potato beetle, Leptinotarsa decemlineata (Say), but several aphids also are commonly damaging, particularly green peach aphid, Myzus persicae (Sulzer). Tomato is affected by silverleaf whitefly, Bemisia argentifolii Bellows and Perring; corn earworm, Helicoverpa zea (Boddie); and many other pests. In the west, beet leafhopper, Circu-lifer tenellus (Baker), can be damaging. Home-garden production, but not commercial production, is at risk from tobacco and tomato hornworms, Manduca spp. In southern production areas, pepper weevil, Anthono-mus eugenii Cano, is the key pest of pepper. Can vegetables be grown over the top of others? What vegetables are luxury crops? What are some crops commonly grown in europe? What common vegetable was a luxury in the past? What is the most commonly grown north american crop? What are the characteristics of vegetable crops? What are the characterstics of vegetables crop? What are the main characteristics of crops? 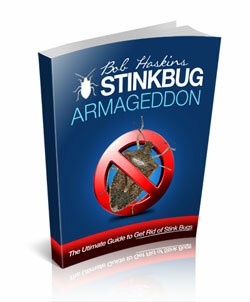 What are the major home and garden pests in usa?